I didn’t even realize that this is still around. 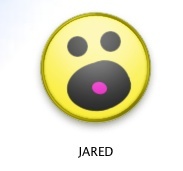 Back in the mid 90’s Jared was iconic for Mac users, distributed through the crazy folks at Freeverse. Apparently they kept it going for a decade. There’s a Mac OS X version, a Dashboard widget, and even a new iPhone Application. That brought back some memories. The iPhone’s CPU even underclocked to 412Mhz is way faster than the PPC 603e @ 75MHz I used when I first damaged my ear drums listening to Jared. And that was a full desktop. To see something this silly last so long is funny itself. I hope Jared has a job that’s not in the music industry. I wonder if he served as insporation for William Hung? Bonus: You can find the lyrics, english translation, and a brief history of the song Luna de Xelajú on wikipedia!